Easily find your hard-to-find games! Players is the proud host of all sporting events, from national to international games. Whether you like to watch NCAA, NFL, MLB, NBA, NHL, NASCAR, or FIFA games, we've got you covered. Perhaps you'd like to integrate a little variation into your sports-diet, we'll offer up a mixture of surfing, MMA, horse racing, motocross, and of course golf. With over 200 sports channels, just think of how many sports games you can watch! (We promise you can watch more games here than in any other place at PIER 39). Plus, we’ve recently added the PAC-12 Network to our wide array of sports channels, so you'll never miss a game! Game On! With two DirecTVTM satellite dishes, we're always watching the game. Cheer your team to victory and enjoy the home-field advantage for every game with your fellow sports fans and Alumni Club! We've got all the hook ups you need with reserved seating in our Club Room, Luau Lounge or right up front at the bar. 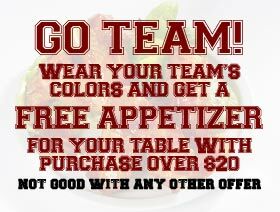 Just say the word and we'll make sure you're set with food, drink specials and even shots when your team scores! Bonus: we have half-time contests and validated parking. Who doesn't love a little friendly competition? 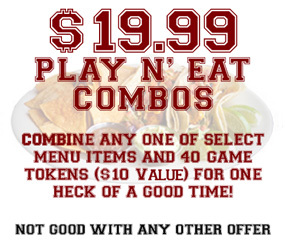 Bring your opponents for a super charged game watching experience! (Disclaimer: Players is not responsible for your team's loss and destruction of self-esteem). World Cup Fans, Listen Up! Traveling abroad and need to catch your favorite football (aka soccer) team? Not to worry, Players will make sure you don't miss a game. We show many qualifying World Cup games and match-ups from Bundesliga to the English Premier League and more!